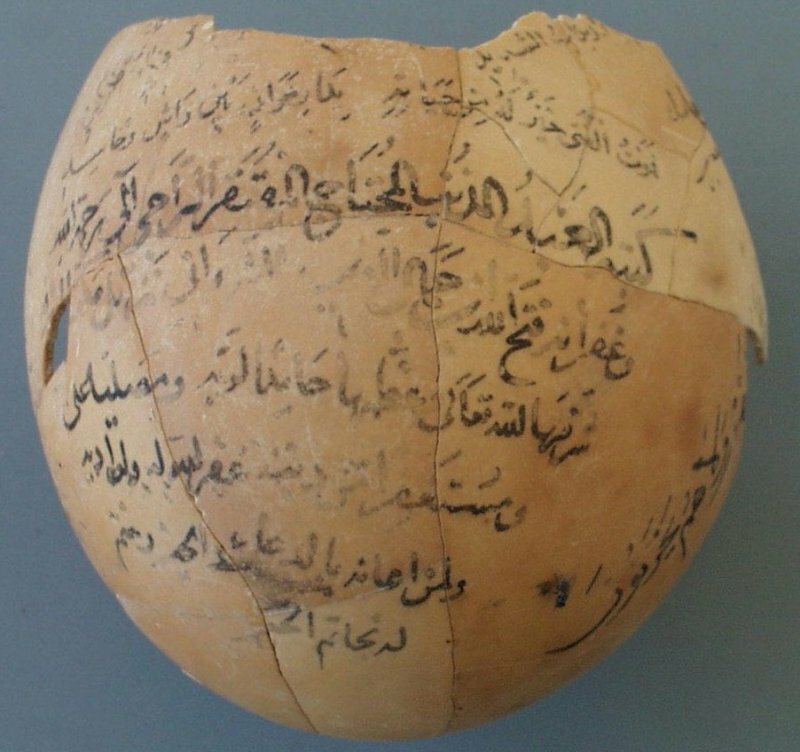 This Ostrich egg dates from the fifteenth Century. It was found in the excavations of a medieval Egyptian mausoleum and is covered in writing. There are verses from the koran and snatches of poetry and eulogy describing the soul's journey through death and on to the afterlife for the funeral of a young man.